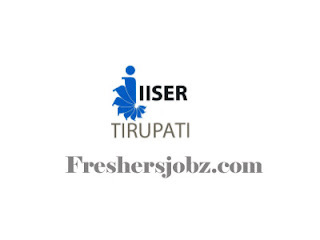 IISER Tirupati Notification 2018.Indian Institute of Science Education and Research, Tirupati has released a notification for the recruitment of Non-teaching positions.Check the eligiblity and notification prior to apply for the positions. Qualification: Master's Degree in Library Science/ Information Science/ Documentation Science, Ph.D. or NET/ SLET/ SET. Age: Not more than 35 years. Age: Not more than 27 years. Last date for submitting online application: 19.10.2018.